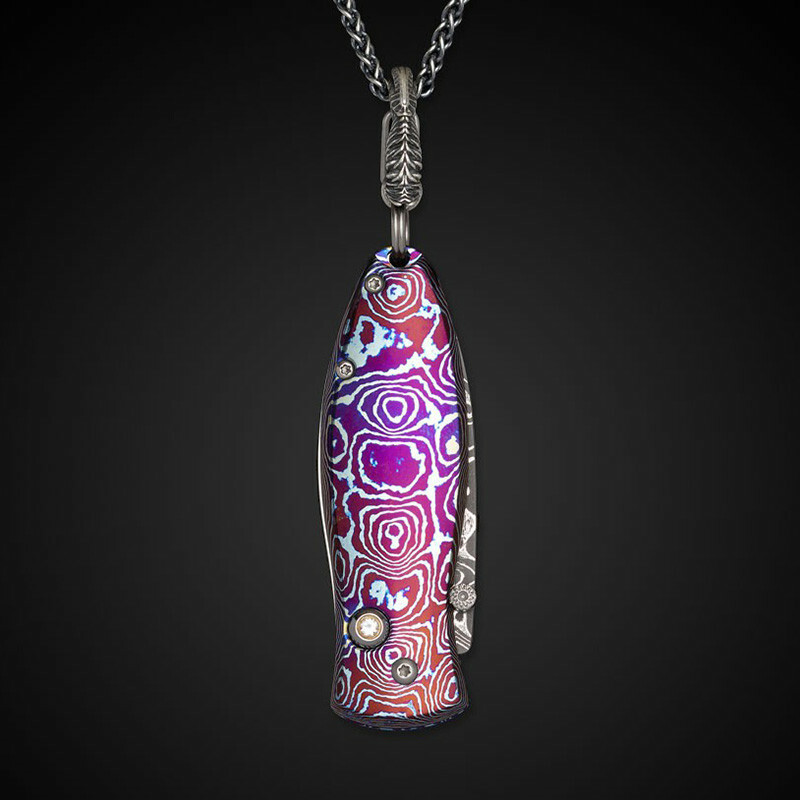 Wear this versatile Morpheus Cosmos pocket knife from William Henry as a pendant or carry it in your pocket as a keychain knife. 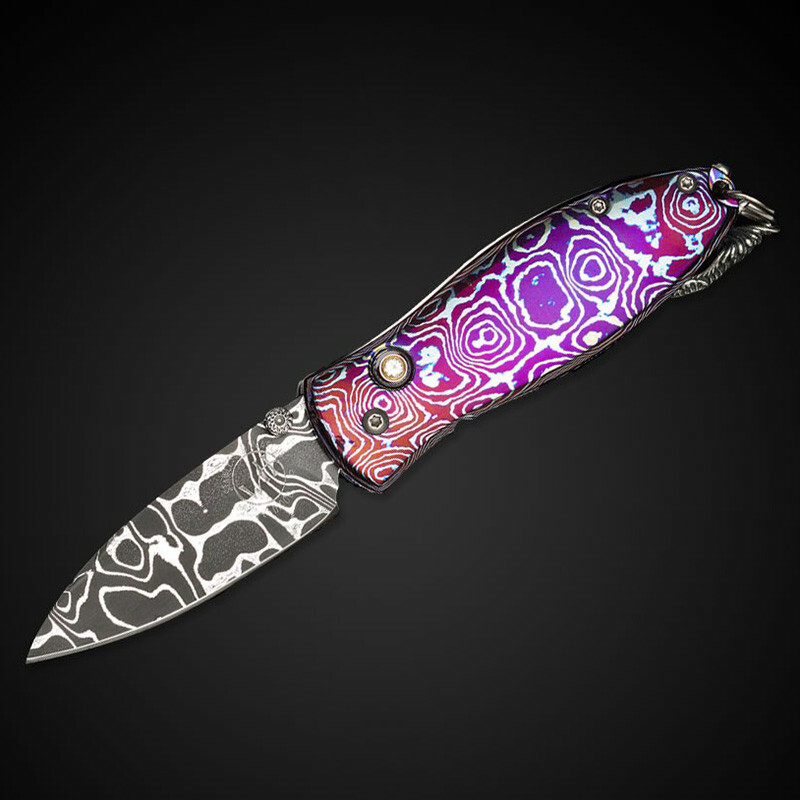 It features a blade of hand-forged Damascus steel and a handle of MokuTi, a blend of aerospace-grade titanium alloys. The piece is accented with white topaz, sterling silver and stainless steel. 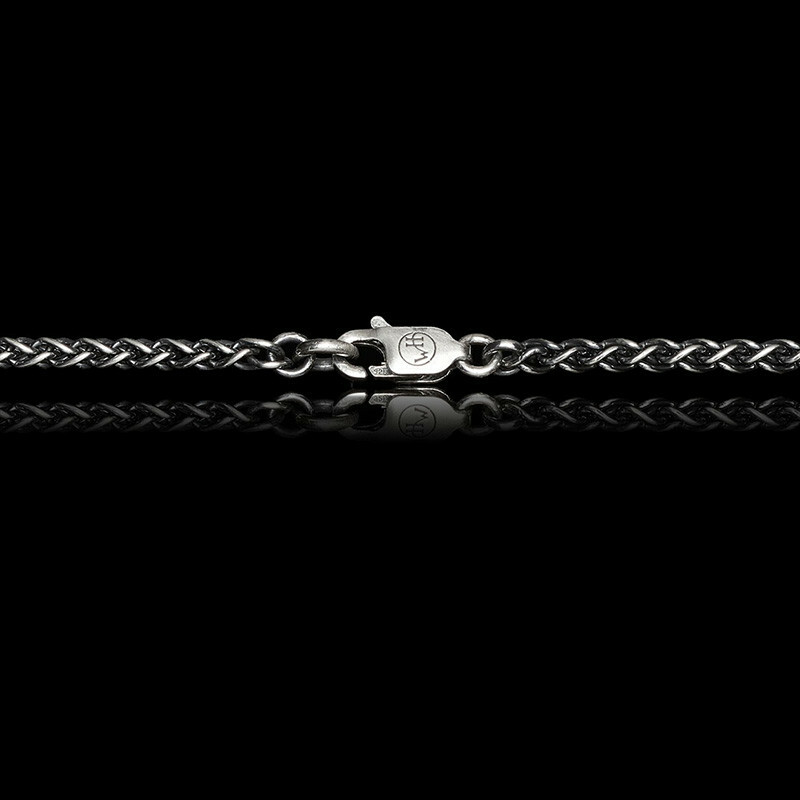 A 22" gunmetal finish sterling silver chain comes with the accessory. 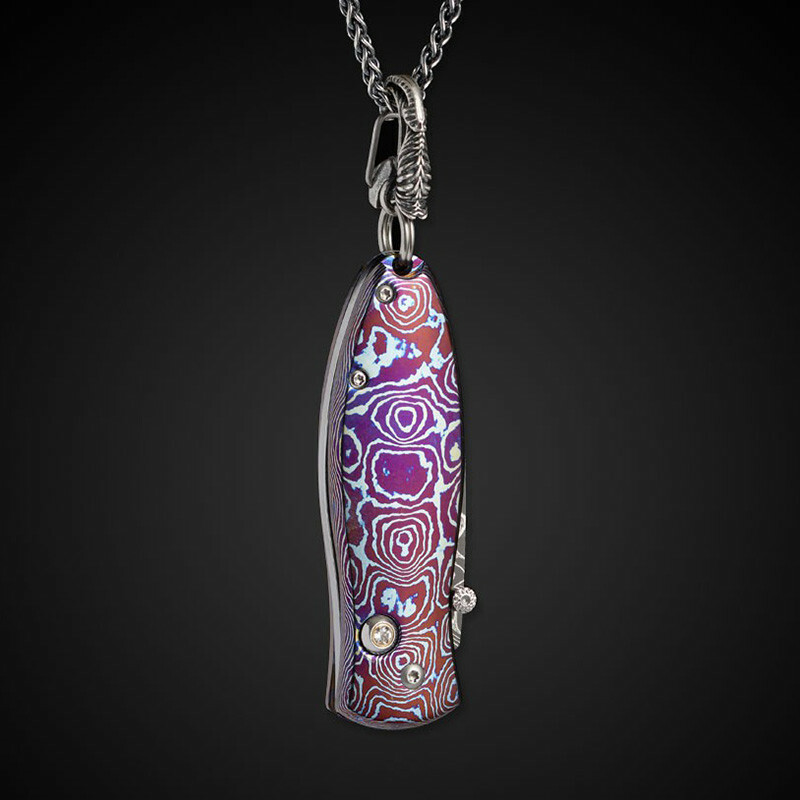 This William Henry knife will help you keep things in order!